This Reflector/Enhancer floor was completed in the flood area of Elbow Park in Calgary. 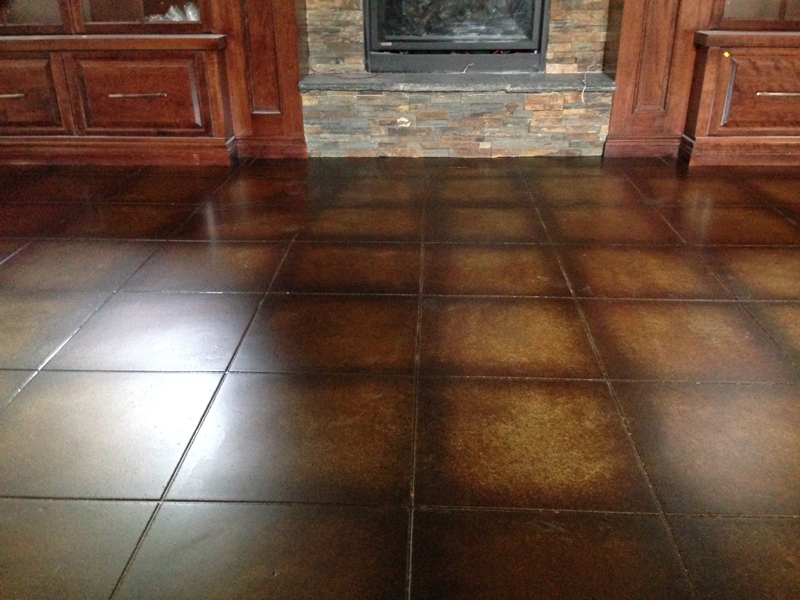 Using Elite Crete E100-UV 1 and a blend of reflector enhancer colours, Hardscapes Inc. created this one of a kind basement floor finish. 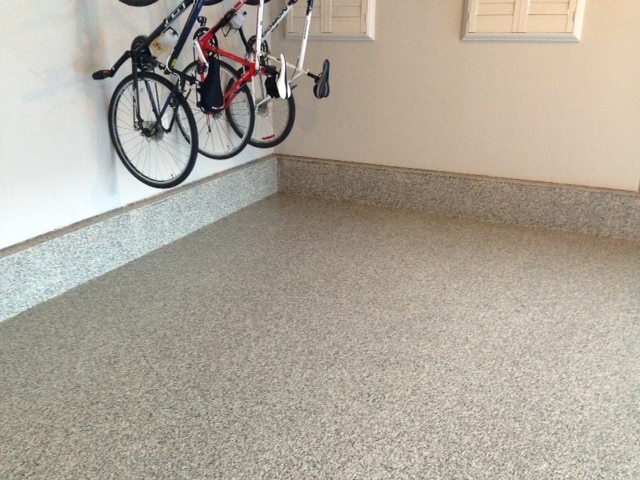 These homeowners are very happy to be back in their home and have a dry basement this year! 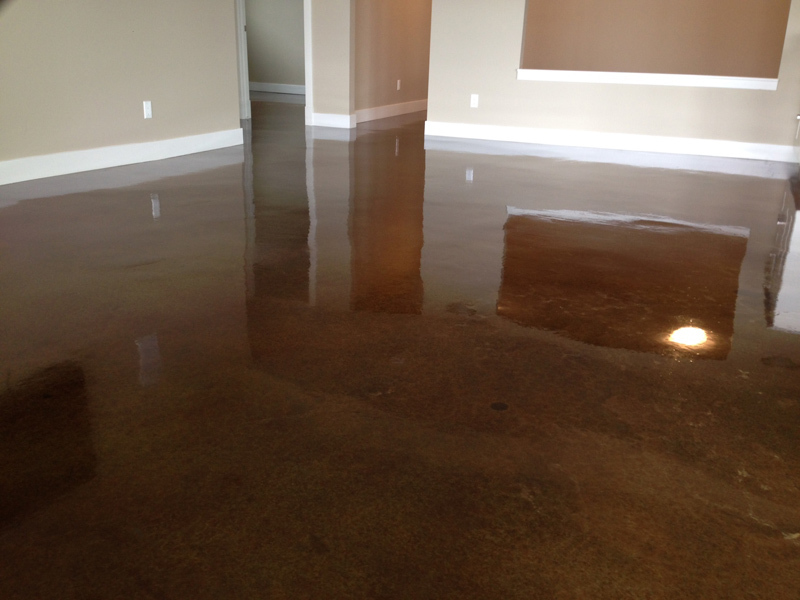 If last years flooding left your basement floors cracked and heaved or just discoloured, give us a call to see how we can bring your floors back to life. 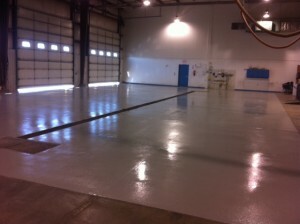 We just refinished this floor at a NW Calgary pizza place. 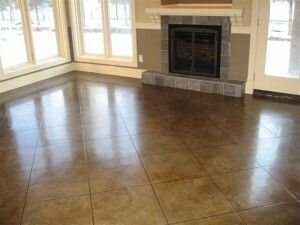 Hardscapes has done lots of restaurant and coffee shop floors. 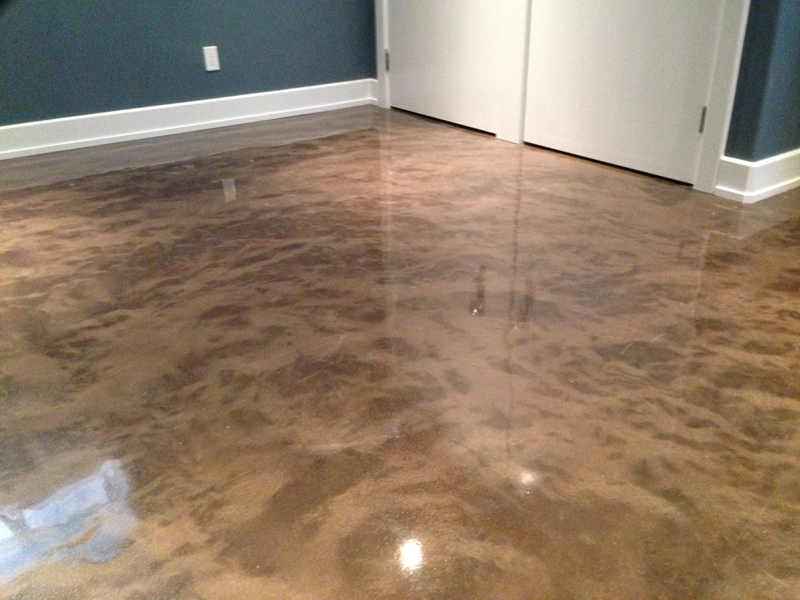 Concrete coatings are a great finish for these high traffic floors as they stand up well, clean up well, and are easy to maintain. Best of all they are affordable! 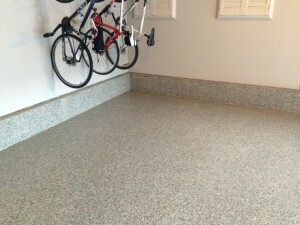 If you have a project for easy care floors that look great, give us a call! 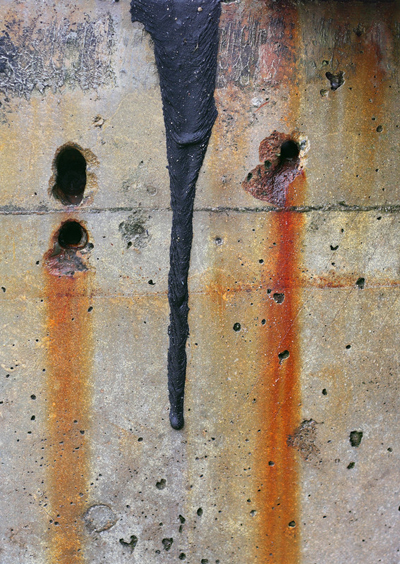 Modern concrete is designed to last 60 to 120 years but lack of maintenance and environmental conditions can greatly reduce those numbers. 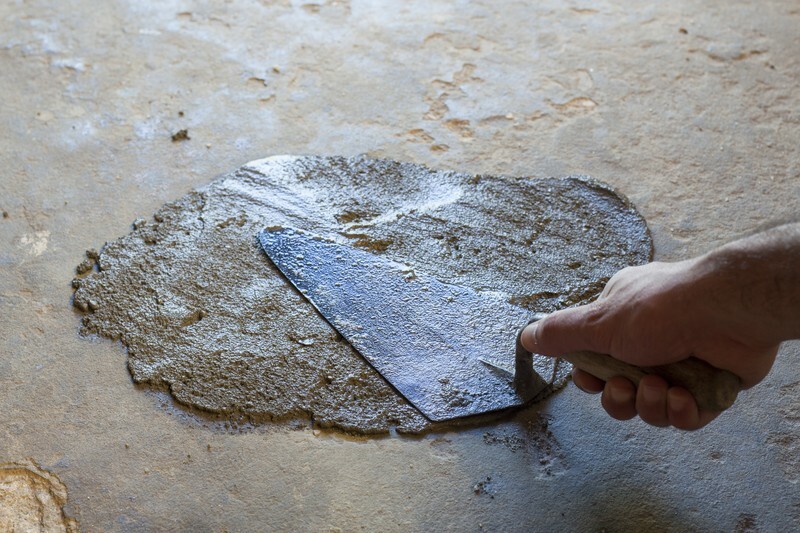 Many city practices like salting city streets in the winter can lead to pitted and stained concrete driveways. As snow plows push the snow from the street onto sidewalks and driveways it also sends any vehicle waste like oils and engine fluids that have made their way to the street along with city particulates like salt and or grass control chemicals along with it. Hardscapes Inc. has solutions to every concrete restoration need and years of experience to make a repair that is beautiful and long lasting. Make your floor your own by adding a custom logo! Throw some flare into your man cave! Custom seamless flooring is what we’re all about at Hardscapes. Unlimited colours and design options. From laying in decals to designing logos out of our products. Engraving patterns of all sorts. 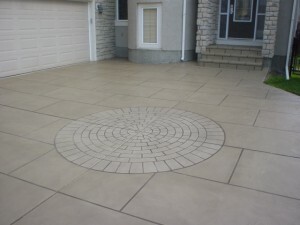 Your truly custom flooring project starts with a call to Hardscapes! 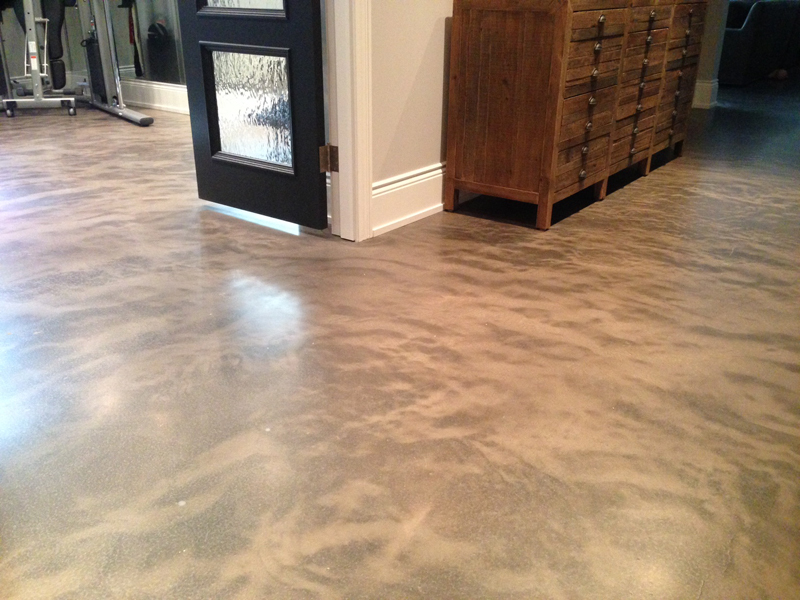 This gorgeous basement floor was created by engraving the existing concrete and applying an acid stain over the entire floor. 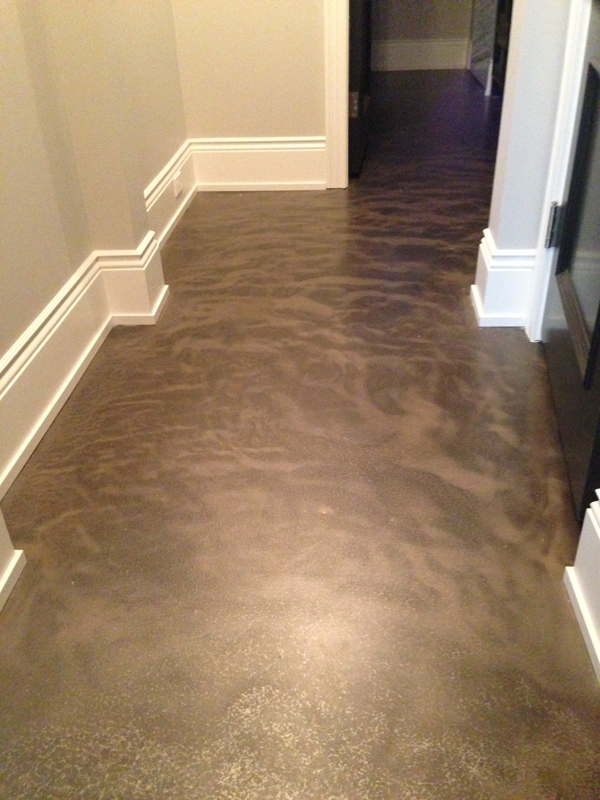 We then went back over the floor with an accent colour to highlight the pattern. The satin finish makes for very natural looking and easy care floor. These concrete floors can even be heated providing not only a pleasant surface to walk on but can help keep your home warm on cold winter nights. 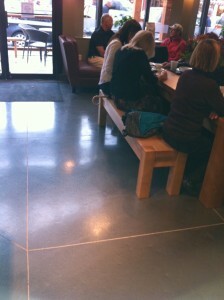 Spring is finally upon us! It’s time to start getting at those projects! 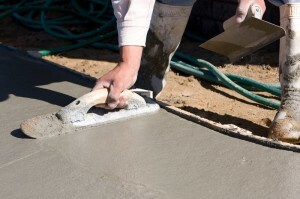 When it comes to concrete, Hardscapes has you “COVERED”! We offer a complete line of treatments for concrete, both residential and commercial.